“Wolf” is one of the most loaded words in Norwegian vocabulary and evokes strong emotions no matter who you are talking to. Farmers and people in rural areas associate the word with mass killing of sheep and reindeer and can tell about bloody bodies and the four-legged Devil. 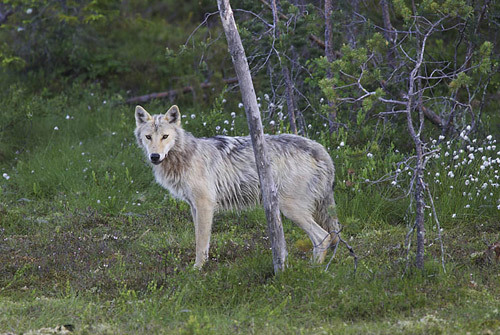 The attitude among urbanites and environmentalists around cafe tables in Oslo and other cities are quite opposite: The gray wolf is endangered and must be protected because it belongs in Norwegian nature. It is the farmers’ responsibility to take better care of the livestock, and they must realize that wolves willingly eat unattended lamb chops and are not feeding on moss and blueberries. The farmers on their side argue that the wolf is a mobile killing machine that does enormous harm and destroy their life’s work. Rovdata’s (an independent provider of data regarding the predator population) preliminary figures from last winter show that there are only about 80 wolves in Norway and that 50 of these were crossing the border into Sweden. The latter cannot be counted as Norwegian, but Scandinavian. In comparison, there are registered more than 300 wolves in Sweden while in neighboring Russia there are between 25,000 to 30,000 individuals. Even densely populated Germany has a wolf population of about 150 animals. But it is Norway having the biggest problem with managing a very modest number of individuals. 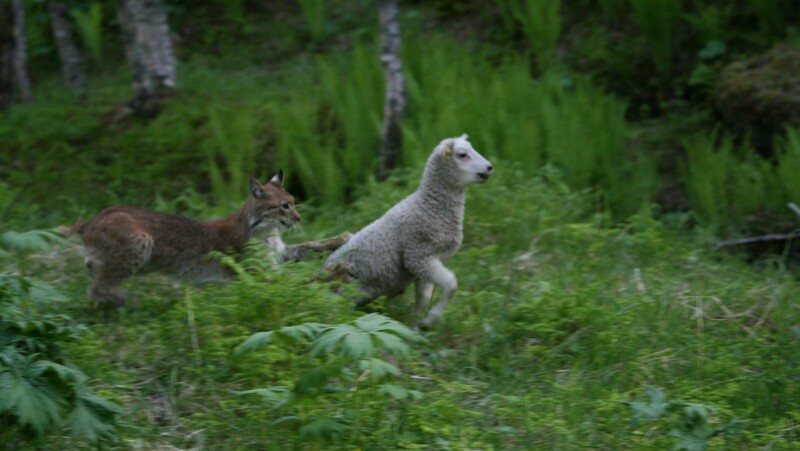 Of a total of 1.99 million sheep and lambs about 140,000 are lost when grazing in Norwegian wilderness every year. Of these “only” 40,000 are taken by predators such as bears, wolverines, lynx, eagles – and wolves. The compensation scheme is generous and farmers do not suffer any financial losses. The environmentalists argue that the scheme is so profitable that farmers have no interest in looking after the livestock and that there is both political and economic gain in “always blaming the wolf” – even though it accounts for less than one percent of the losses. This argument is supported by facts. In the peak year of 2007, only 380 sheep were taken by wolves while wolverines were the biggest sinners with 10,375 “murders”, followed by lynx with 9876. Very little attention is drawn to the approximately 100,000 sheep that die of other causes than predators: Diseases, toxic plants, drowning in bogs, collisions, accidents and more. The fact is that losses due to predators have had a decline in recent years. This is partly because of an increased number of hunting permits for wolverines and lynx. The debate has been so harrowing and emotional that the vast majority of politicians seeking re-election avoid taking anyone’s side in the entrenched conflict. The result is a predator policy which is composed of strange compromises. Because it apparently sounds like a good solution for everyone it is created a “wolf zone”, i.e. a zone where wolves are allowed to behave like … wolfs. Outside of the zone, they will become unwilling participants in a “target shooting game”. 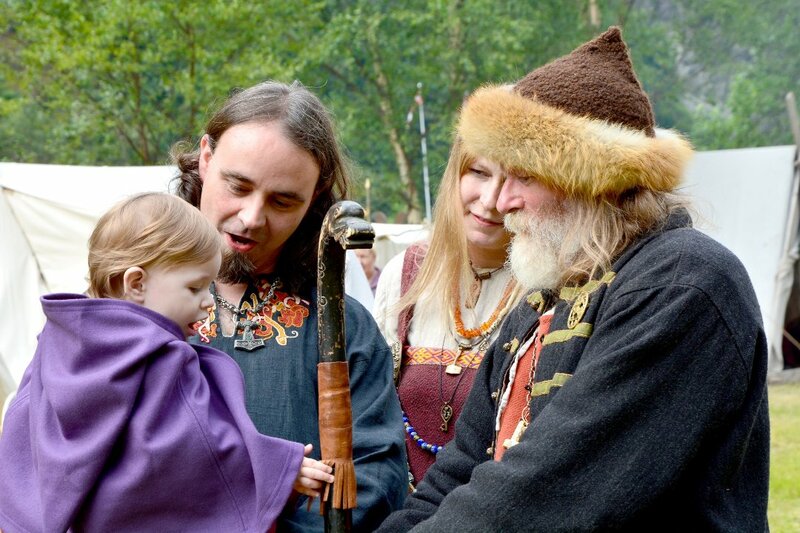 The zone covers parts of the counties of Hedmark, Østfold, Akershus and Oslo east of the river Glomma up to the Swedish border. The problem is of course that wolves do not understand Norwegian (or Swedish) nor is equipped with a map and compass. In reality, the compromise means that the endangered Norwegian wolf population easily could end up as decorative furs in front of fireplaces. 3500 Norwegian hunters stated that they during the season from October to April 2013 participated in licensed wolf hunting. The numbers show that 12 individuals are legally shot in Norway since August 1 last year until now: Four during licensed hunting in addition to eight killed because they had made damage to livestock. In addition, two wolves were hit by car, one drowned (?) and there are individuals killed through illegal hunting. The majority of the hunters come from rural areas where it gives high status to kill the four-legged killers that destroy peoples’ sleep. In their eyes, one wolf is one too many. When conservationists argue that farmers have themselves to blame and must begin to herd their livestock, farmers dismisses this by saying that they cannot afford it. It is apparently far more lucrative to submit claims. At the same time it seems easy to sit at a sidewalk café in Oslo and instruct people in rural areas about environmental policy. It only increases the anger and hardly lowers the wolf hatred. When one looks at the facts of the wolf debate it is easy to be on the wolf’s side: The problem is exaggerated and the farmers’ discontent and doomsday descriptions are about everything else than wolves. The predator is used as a symbol of all that is wrong with the Norwegian rural- and agricultural policy, too low financial transfers and increasing centralization. Everyone understands that wolves can be dangerous, so it is far more effective to use it as an example of the resurrected Evil than wolverines and lynx that are not close to having a similar dark and ominous reputation. The farmers’ wolf hatred has developed into a serious psychosis that needs immediate medication – medication the politicians neither have the courage nor will to prescribe. 80 wolves mean nothing compared to continued government power. The result is obvious: Goodbye wolves!